Designated areas for smokers whilst in the parks. As a place where people come to get away from it all and enjoy themselves, Disneys asks that smokers use common courtesy whilst in the parks. In 2008, this was cemented with the designation of special Smoking Areas throughout both parks, with guests being asked to smoke only in these areas. In practice, however, they havn't proved all that popular so far — and you can't even blame other guests for a reluctance to comply. 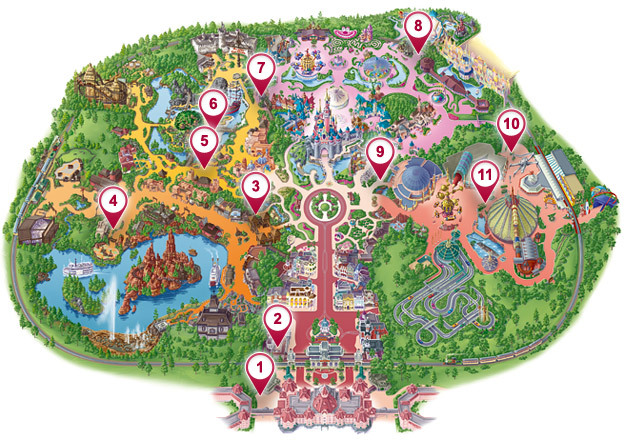 Though these Smoking Areas are shown on park maps, the advice that guests should smoke only in these areas is printed only as a minute detail in the map legend. Therefore, don't be surprised if you see people smoking all over the parks — but don't necessarily blame them either. It's a lack of information and drive on Disney's part to enforce the rule. Nevertheless, if you'd like to start the trend or just want to know the best areas off the beaten track to take a break, we've mapped out the Smoking Areas below and described their locations and facilities. These areas have been created as much for the convenience of courteous smokers as for other non-smoking visitors, with benches, bins with ashtrays and in some places, cover from the rain. It's still normal to offer both smoking and non-smoking rooms at hotels in France, and so you will be asked your preference upon check in at a Disney Hotel. Under French law, it is now forbidden to smoke in all dining establishments, shops, indoor and covered areas. 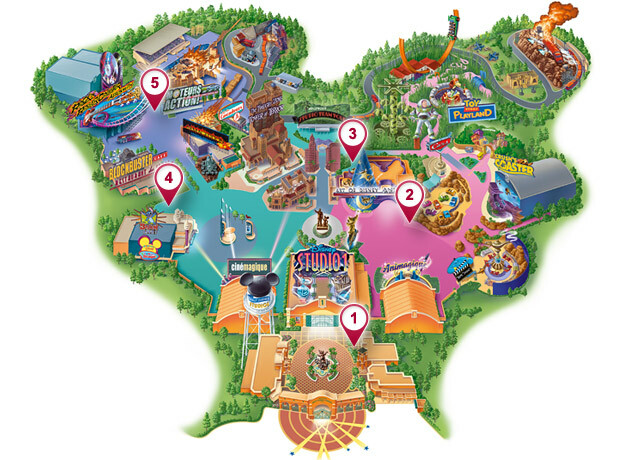 At Disneyland Paris, this includes attractions, theatres, queue lines and covered arcades.